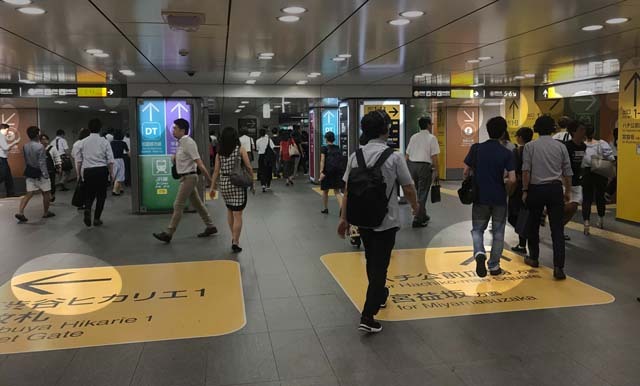 A man travelling through Shibuya Station has come across 99 arrows but his destination wasn’t one of them. “I got 99 arrows but my destination ain’t one of them,” said 2-weeks-a-tourist Simon Petreski. Petreski had been following a sequence of arrows through the station but hadn’t seen an arrow to his desired destination for at least 30 paces. Shibuya Station is renowned for being one of the world’s busiest arrow hubs. There is an average of one arrow for every square tatami. Petreski ended up asking a local for directions, choosing the best looking girl he could attack. The girl gave Petreski her LINE ID out of sympathy but never replied.